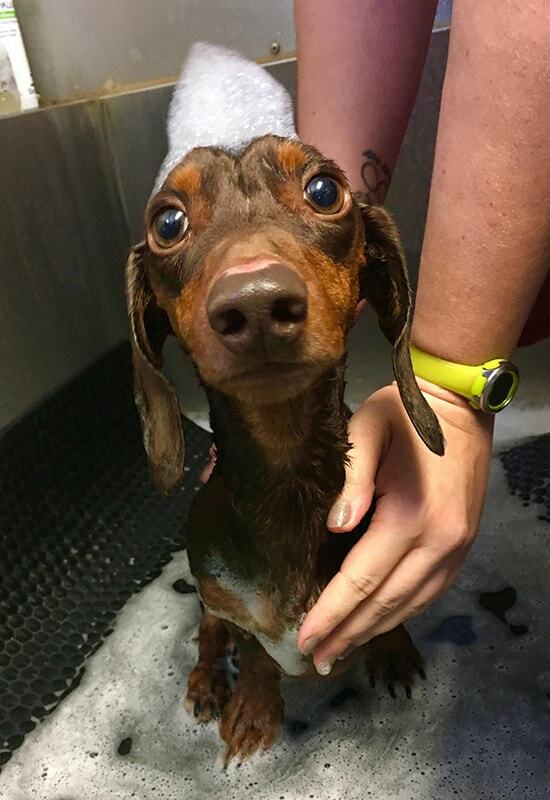 Splish splash, doxie in the bath! Franklin’s ending his big week of progress with a nice bubble bath, relaxing and getting squeaky clean before his next physical therapy appointment Monday morning. His new therapy schedule will be 30 minutes, twice a week. From Franklin and all of us at Southeast Veterinary Hospital–have a great weekend!